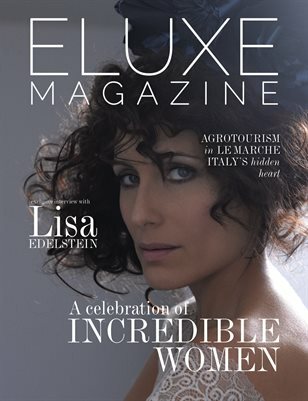 In this edition, we celebrate incredible women - from activists to actresses, CEOs to TV Hosts! 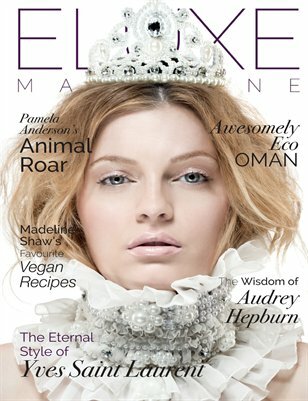 Sustainable luxury fashion, celebrity news, clean beauty, eco tourism and vegan food all pack Eluxe's pages. 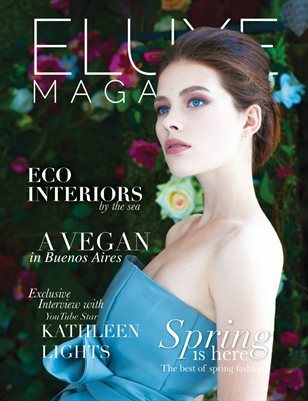 Sustainable fashion shoots, eco travel to Peru, Quebec, Portugal and more, organic beauty, Ayahuasca, natural health and much more! 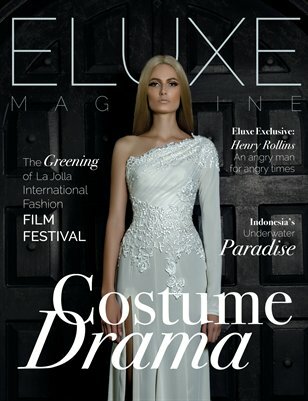 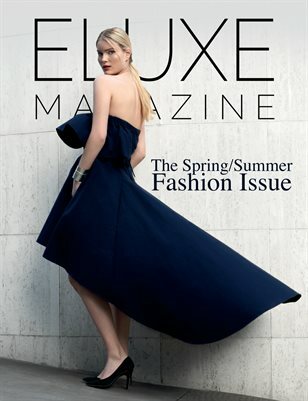 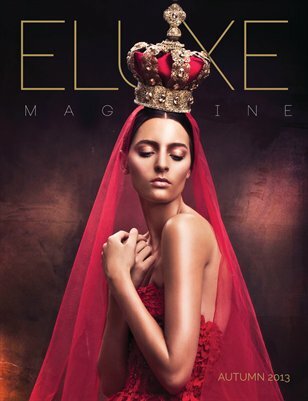 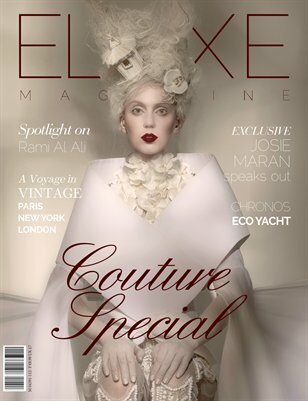 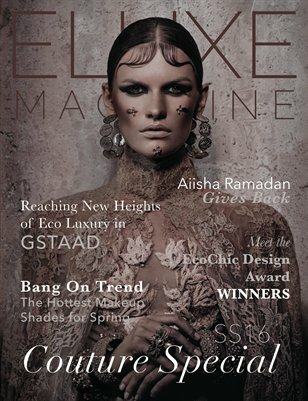 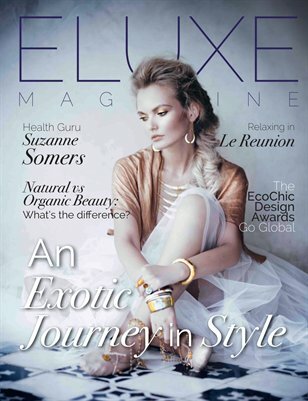 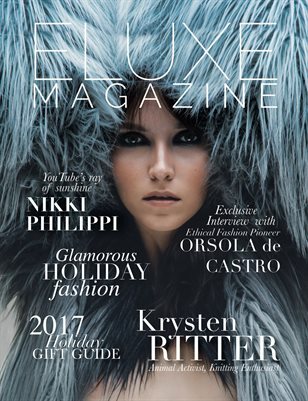 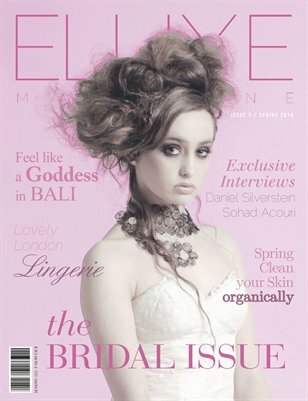 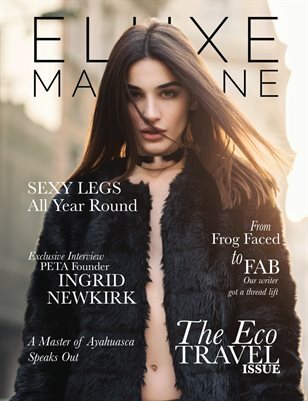 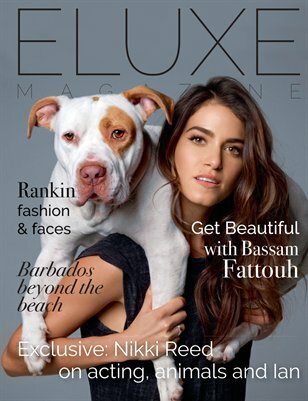 The world's first sustainable luxury fashion magazine, Eluxe Magazine features eco friendly beauty, fashion and living. 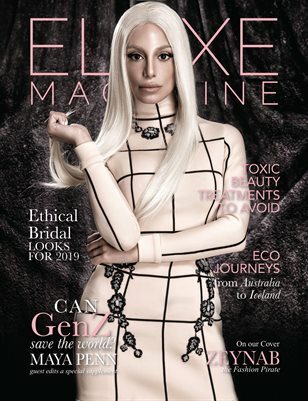 This 7th issue features Pamela Anderson, the genius of Yves Saint Laurent and two new features: vegan recipes and horoscopes by Claudia Vannini. 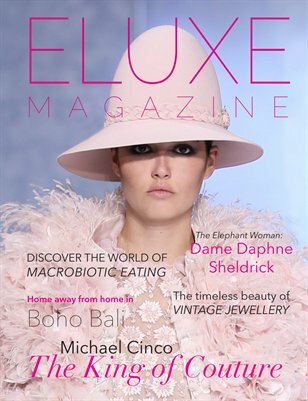 Each issue of Eluxe is packed with fashion, beauty tips, interiors and holiday destinations that are so glamorous, it's hard to believe they're green.